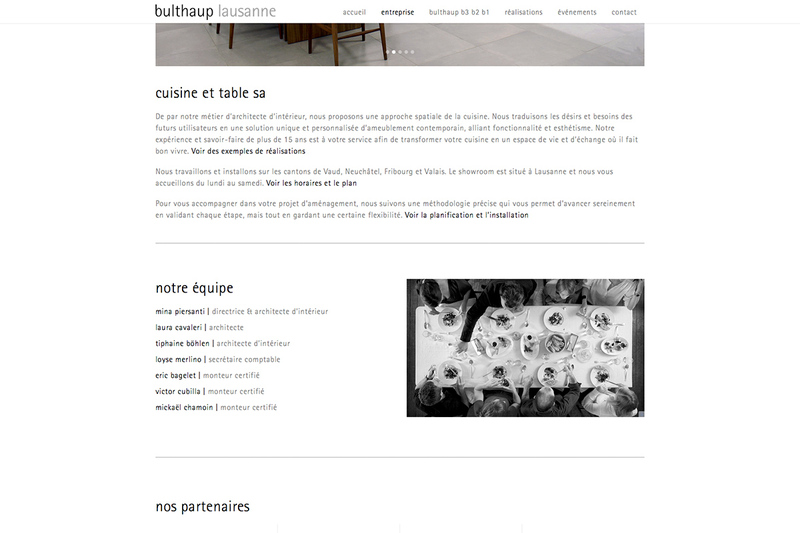 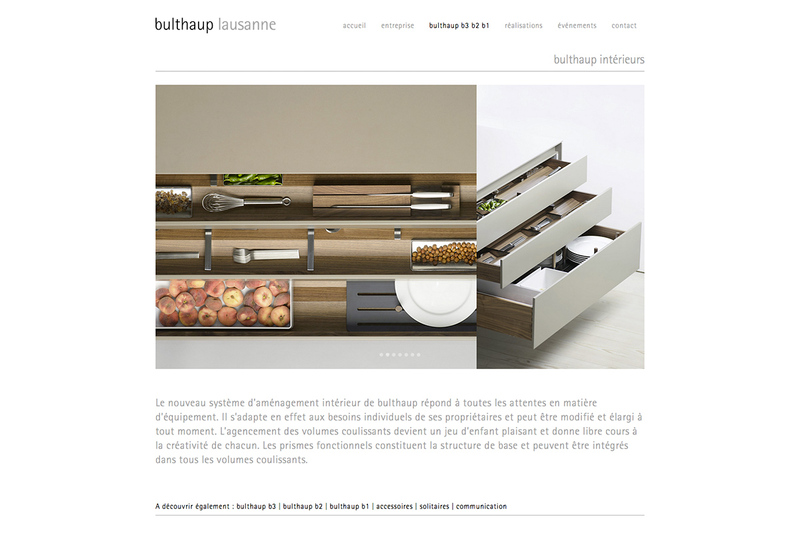 Cuisine et table S.A., a bulthaup authorized reseller based in Lausanne, approached us to create their new website. 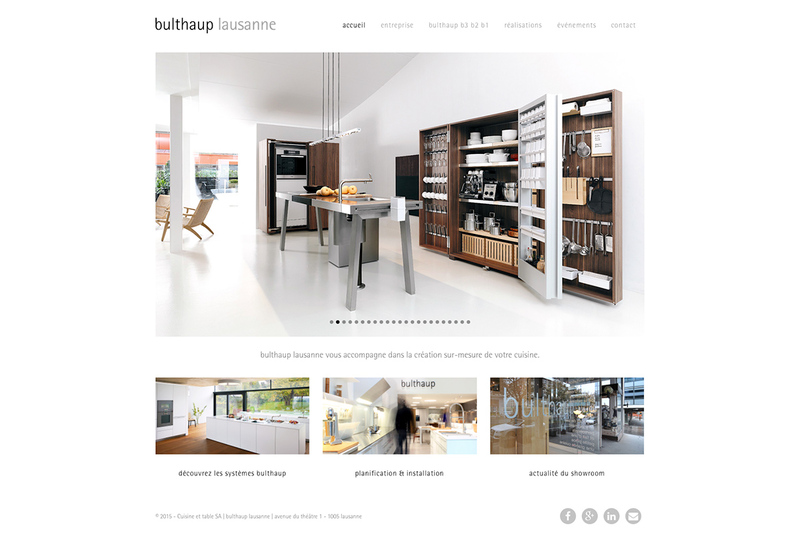 The idea was to be more in tune with the general brand’s website, offer a clean and simple presentation, while being easy to navigate for any user. 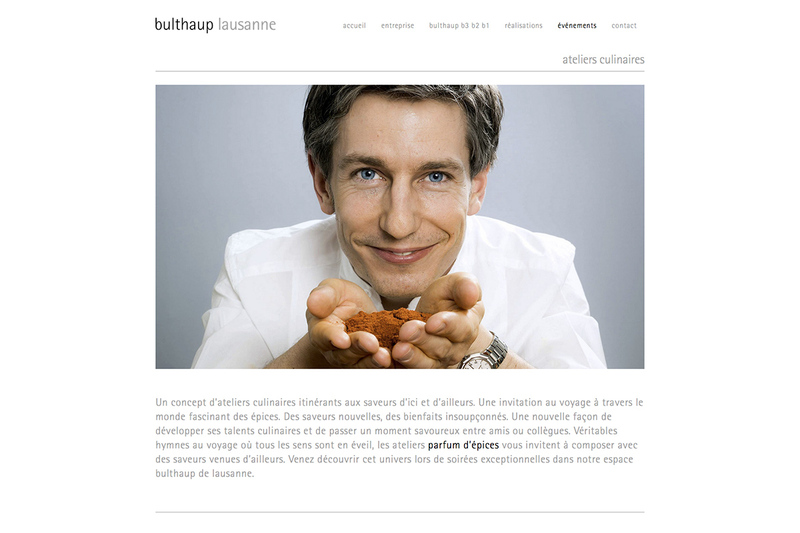 We also helped them with copy writing and images selection. 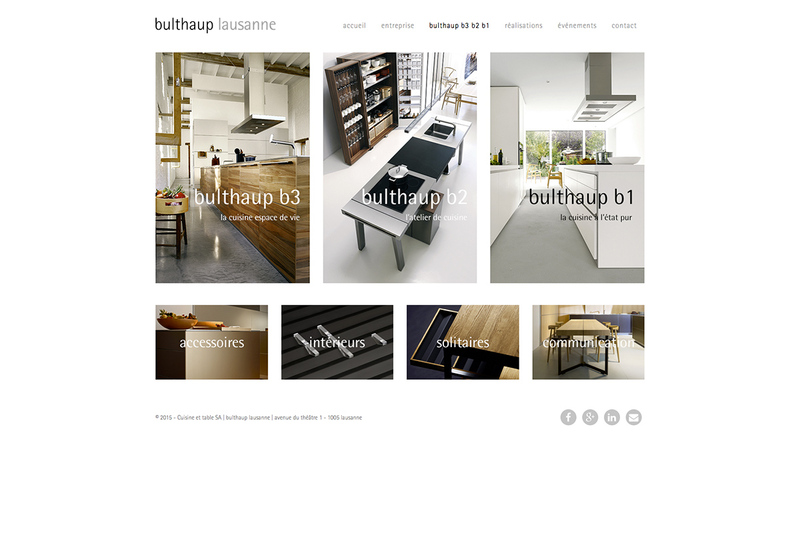  A premium website for a premium company.